Thanda Private Game Reserve offers an authentic wildlife experience, matched with sincere commitment to the Zulu culture and passionate conservation of the environment. Meaning ‘love’ in isiZulu, Thanda is a proud member of the Leading Hotels of the World and multiple winner of World’s Leading Luxury Lodge. It is known for meaningful safari experiences and close-up encounters with Africa’s magnificent Big Five. Each of its three properties has its own style and atmosphere. 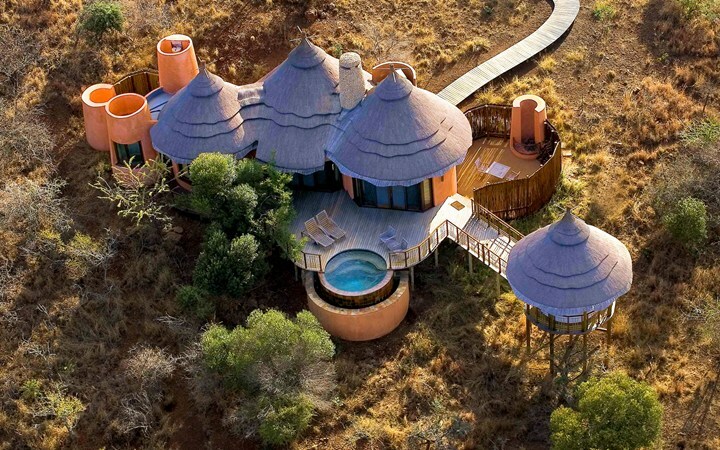 Thanda Safari Lodge, the flagship product, has 9 bush suites – each epitomizing luxurious exclusivity. Villa iZulu is a bush homestead ideal for families and those with a special taste for privacy. Thanda Tented Camp, with its 14 grand tents and 1 grande deluxe tent, offers a truly relaxed and authentic safari experience. Children: All ages, except at the tented camp where children under 12 are not accommodated. There's currently no specials at Thanda Private Game Reserve. Luxury accommodation, two game drives per day with professional guide and tracker, all meals and selected local beverages (soft drinks, house wines, local spirits and beers), bush walks with specialist walking guides, in-room minibar, wifi and laundry. One private boma dinner with stays of 4 nights or more.